We’ve taken our annual Halloween hay ride. The boys were very excited about this and its manageable. Also, despite the name the one we go to is really geared for the preschool and early elementary set – not very scary. The afternoon we went there was about a 20 min wait. The weather was gorgeous. No strollers so I had to hold the youngest; he got heavy. The ride itself was a little longer than the line. I’m always a bit worried someone will fall off, but we haven’t lost anyone yet. Afterwards, we bought enough pumpkins to cover the free ride. 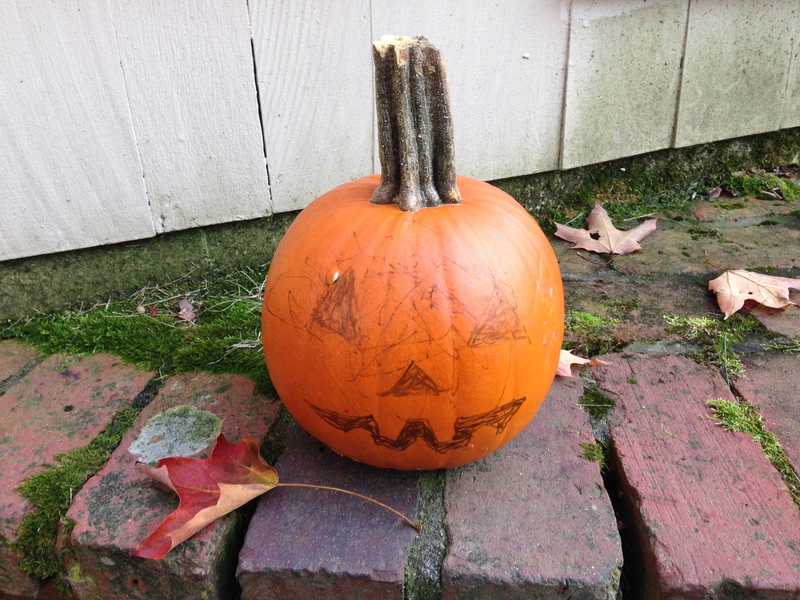 Our pumpkin never turned orange. 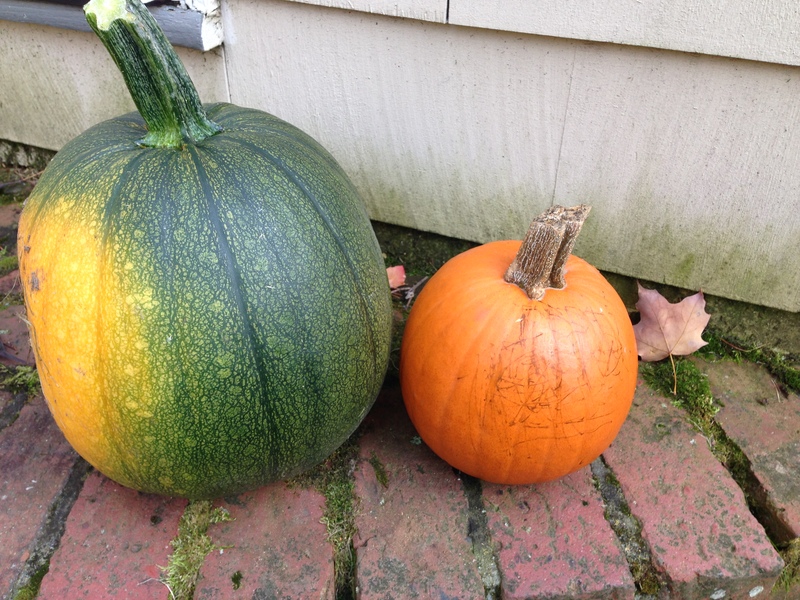 So, I’m adding it to our purchased pumpkins for some variety. Plus, frost is coming and the garden needs to be cleared out so we can actually mow the grass it took over before winter.